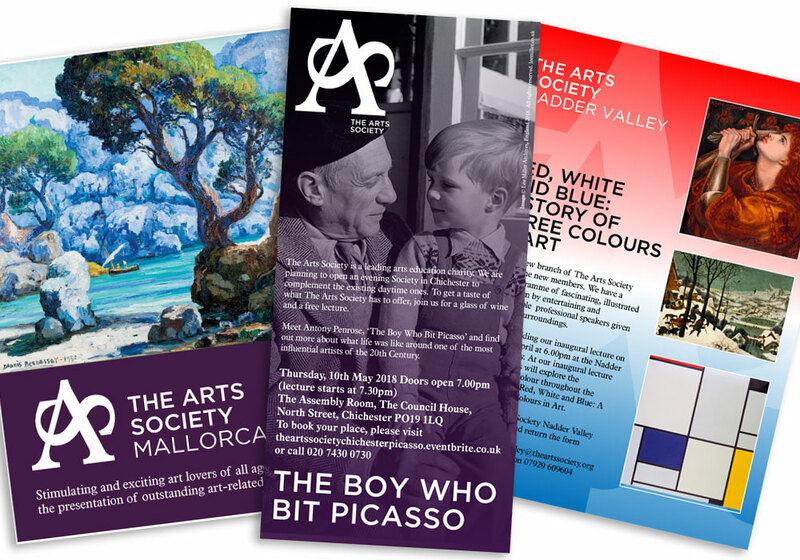 As a new Society, The Arts Society Clapham Common created an A5 flyer which they have distributed locally to recruit new members and advertise their upcoming lecture programme. The image used on the front was taken by one of their members. The flyers are A5 in size (210 x 148 mm), double sided, colour on both sides, in a thick matte paper (110gsm). This flyer is available as an editable template in the 'Files for designers' section of this website.